Choosing a point-of-view can be tricky. When John first started writing, we did what most writers do; we wrote in first-person. It was John’s story and he wanted to tell it in his own voice. Our more recent writing has been done in third person. We have found several advantages to writing in third person. We hope these tips will help you make a good choice in your point-of-view character. The person telling your story is called the “Point-of-view” character. 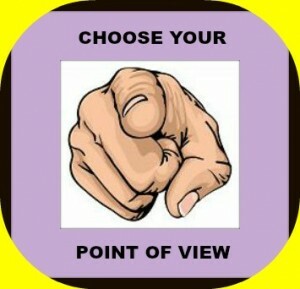 You should choose your point-of-view carefully. EXERCISE: If you are not sure what point-of-view you want to use, take a look at some of your favorite novels. What point-of-view seems most appealing to you. The Point-of-View Voice Should Remain Constant. Keep a single point-of-view for each scene or chapter. If you want a different point of view start a new chapter or new scene. You can separate the different points-of-view within a scene or chapter with *** so your reader does not get confused about who is talking. If you have layers or sub-plots they may require a different point-of-view’ than your main story. Your point-of-view character should have a specific style of speaking. 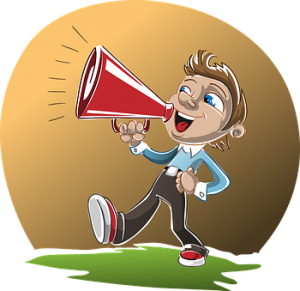 We call this ‘voice.’ You must create a distinctive voice for your point-of-view character. What does your point-of-view character sounds like? Is the voice engaging? You want a voice your readers can relate to. Your readers may have to hear that voice, for the entire novel. Consider the place the point-of-view character comes from. Someone from Texas will speak differently than an Australian or a New Yorker. When you write your story, chose words and idioms that indicate where your point-of-view character comes from. Even if your point-of-view character is a narrator, you must create an entire character. The narrator for your story must have their own personality. 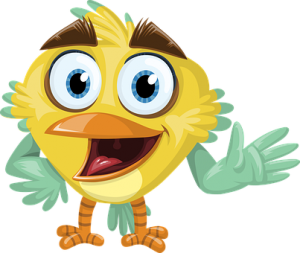 Check out: Formula for Creating a Character. You want your audience charmed by the voice. The story is told using “I, or we,” and can be either past or present tense. 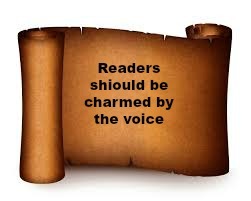 This point-of-view allows the reader to gain intimate knowledge of your character. The author can tell his readers how his character is feeling and thinking. It is easier to reveal your character to your audience using first person. The point-of-view character can either be the main character or a secondary character or the villain. First – It limits your reader’s connection to the other characters in the story. The writer must explain how the point of view character knows information about other characters. Second – It can lead to telling the reader what is happening instead of showing by actions and dialog. Example: I was only sixteen when life spit me out on an unexpected voyage. A certain inner knowing, strange and mysterious, told me my life would never be the same. The thought was not speculative, but a certainty, immediate and complete. This point-of-view uses “you”. The story can be told in past or present tense. This is probably the most difficult way to tell your story. In this point-of-view, the narrator must involve the reader in the story by asking questions. To accomplish this requires more details to pull the reader into the story. Second: The writer should be careful not to write in abstract terms. The writer must keep the story about what is happening and how the characters feel about it. Example: “Let me tell you about a small town in the Midwest. Cheryl lives in Falling Creek. Her friend, Liz, lives next door. She is the head cheerleader and very popular. She is also very pretty. You may know someone like Cheryl. How do you feel about that girl? Yes, that is what I thought about Cheryl for a long time. Then one day…. The story is told with “He, She, and they”. The story can be in past or present tense but is usually in past tense. The point-of-view character can be the protagonist, antagonist, a secondary character, or a narrator. This allows the writer to explore the thoughts and feelings of several different characters. The Point-of-view person may or may not be a character in the story. If they are not involved in the story they are a narrator. A narrator can be ‘all knowing’ or’ limited’. It is easier to head-hop. This means you skip around characters in the same scene. This can be very confusing to your readers. Try to stick to a single character’s point-of-view in each scene. Third person – all knowing. With this point-of-view, the story is told by a narrator who knows everything that has happened. He/she knows about and can examine all of the characters and their motives. It is extremely important to give details about all the characters. It allows foreshadowing with tease lines like, “Heidi had no idea how dangerous that decision was nor the trouble it would cause,” For more details see Foreshadowing Using Hints to Tease your Readers. Example: Ken had been caught is a web of intrigue he was not prepared for. Pamela had kissed him. Almost seduced him. The trap was set. Ken just did not know it, yet. This offers the intimacy of one character’s point-of-view. This is usually a character in the story. It can be past or present tense. The writer must explain how the point-of-view character receives information about other characters. This may require extensive dialog. This point-of-view allows the writer to explore one character’s opinions about what is happening. It also lets the characters, in the story, make mistakes, and struggle with challenges, not knowing the outcome. Example: The day had started out hot. Ken sat quietly contemplating last night. He could not believe Pamela had kissed him. He wondered what he should do next. He sat pondering for a long time, about what it meant. Your readers should be charmed by the voice, gripped by the story, and obsessed with your main character. The point of view becomes the writer’s voice. Make the voice captivating. Which voice do you like to read? Which do you think is easiest to write? Tell us if this article was helpful to you. 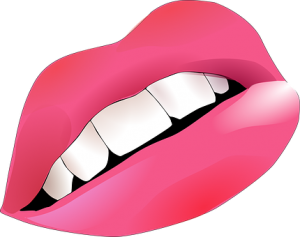 When you are submitting a challenge exercise, you might consider using a different voice than you normally write with. Writing should be fun. Using a different voice can change the feel of your story. This entry was posted in Articles for Writers and tagged book, book writing, creative writing, novel, write a novel, writer, writing. Bookmark the permalink.